Home Health Care In later Life- How Will I Pay For It? Care In later Life- How Will I Pay For It? Care in later life is not a free service unless you have savings and income less than £23,250. You will also not be entitled to any help with care if you own your own home and are moving into a residential care home or similar property. You should speak to your council to get means tested to find out if you qualify for help with the cost of care. You will also need a care assessment to find out how much care you currently need. Even if you do get help to pay for elderly care, ideally you will have choices about the care you have and you will plan well in advance. 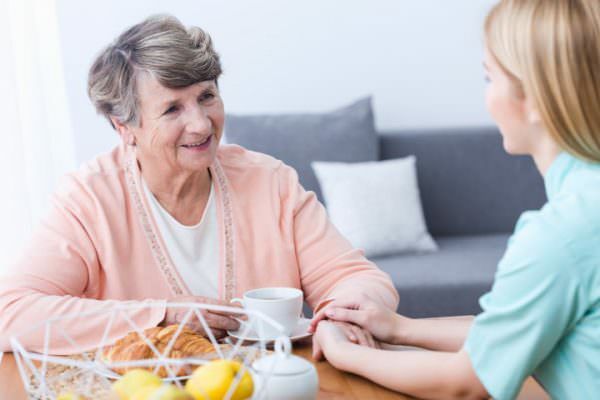 Unfortunately a lot of people do not plan in advance for paying for care and only 1.9% of us seek the advice of an independent financial advisor, according to a report by the Live-in Care Hub. Failing to plan for elderly care can mean that illness or sheer lack of time lessons the amount of care choice, which isn’t something most people want to have to deal with. Planning is essential and provides great peace of mind for the future. If you want to pay for care yourself, planning in advance means you can make the neccesary provisions for the care you would like. You can arrange to pay for care yourself without any involvement from the council at all, or you can involve them in an arrangement where they organise the care for you and bill you. Not all councils offer this service. Having an assessment check is important to find out the kind of care you need. It means you can understand the types of care available to you based on your needs and financial situation. The assessment is totally free and anybody can request one. You can also have a new assessment should your circumstances change. This could be because an illness has become worse or because an unexpected injury has occured that will cause life-long changes. Care can be expensive and knowing how much you will need to pay for your own care will help you prepare for the expenses. Serious health issues like dementia or mobility issues can make care more expensive so it is important to look into all options following your care assessment. You can get a very rough idea of costs on the UK Care Guide Care Calculator page. Benefits like the Attendance Allowance and Personal Independence Payment may help towards the cost of care. Do check your eligibility for these benefits before budgeting your care costs. Research is key when it comes to planning later life care costs including residential care or home care. Having a care assessment is key to your planning as it tells you the kinds of care suitable for your needs. The more you plan ahead and budget for your later life plans, the more able you will be to relax knowing that the next chapter is all in hand. Your later life can be as fulfilling as you want it to be, as long as you plan ahead. What are the benefits of Lyocell material? How Effective Is Winstrol Testosterone Stack For Bodybuilding?